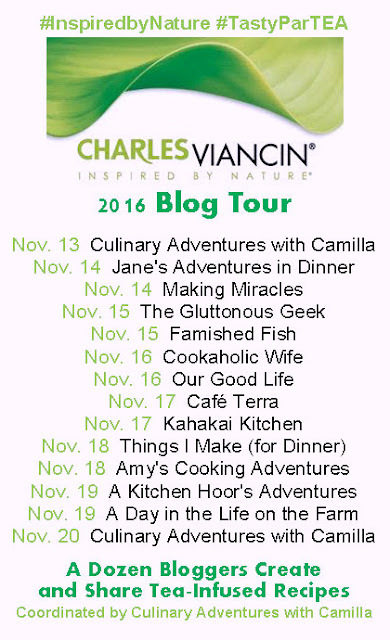 As I mentioned on Sunday, I’m participating in another blogging event. 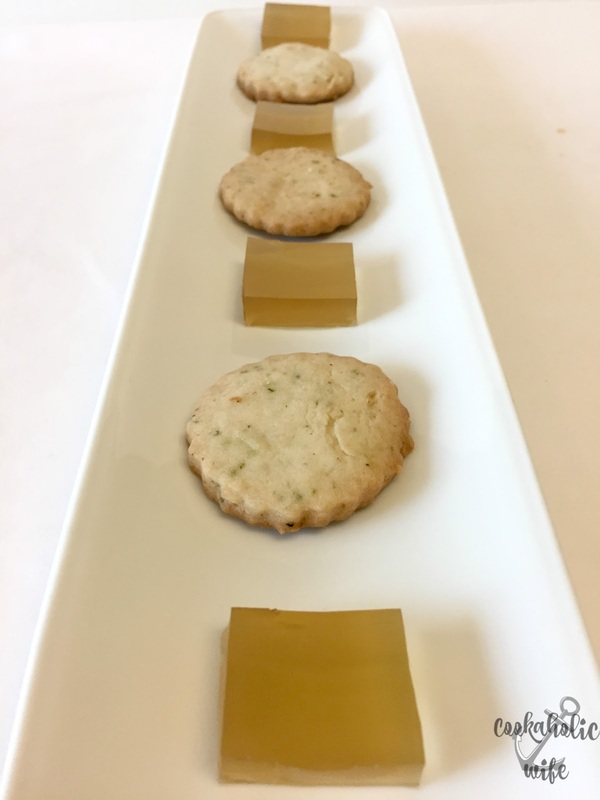 This one is called #TastyParTEA and was put together by Cam of Culinary Adventures with Camilla. A baker’s dozen bloggers have come together to share different recipes that use tea during the month of November. Whether you’re a fan of sweet or savory #TastyParTEA’s creations will make your mouth water! See all the posts on our Facebook page, check out the pins on our Pinterest board, or follow the conversation on social media with hashtag #TastyParTEA. Our generous sponsors have contributed prizes for this event. and is open to US residents only. 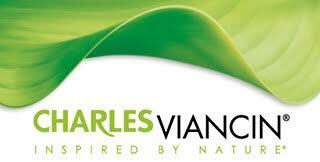 *Disclosure: Bloggers received complimentary products from sponsors for the creation of this event. This is a sponsored post that contains affiliate links. Before this event, I’ve only drank tea. I’ve never thought to cook or bake with it before. 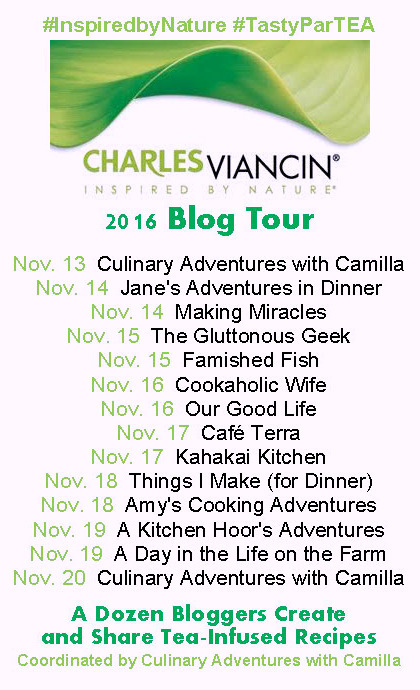 I wanted to challenge myself for this blogging event, which is how I ended up making two recipes. 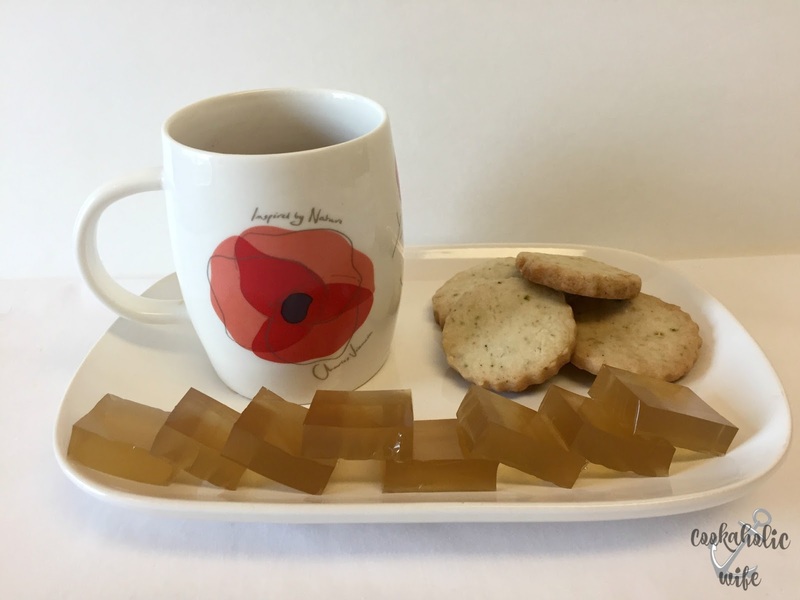 I simply couldn’t decide between a shortbread cookie, which felt too easy and a tea jelly which seemed too awesome to pass up making. 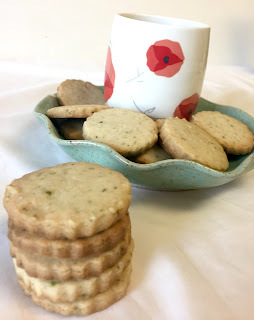 Green tea and matcha make the perfect shortbread cookie for your cup of tea. 1. Preheat the oven to 350 and line two large baking sheets with parchment paper. 2. In the bowl of your stand mixer, combine butter and powdered sugar and beat on medium speed until light and fluffy. 3. Add the salt, flour and loose tea and mix until combined. 4. Place dough on wax paper and refrigerate for 5-10 minutes or until just chilled. 6. Bake for 15-20 minutes or until the cookies are just golden brown. 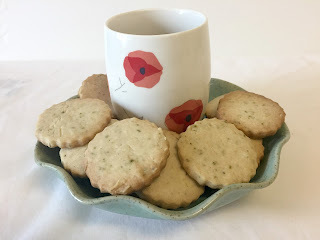 Shortbread cookies and tea always pair together so nicely. The cookies are light and crumbly with just a hint of the green tea and matcha flavor coming through. 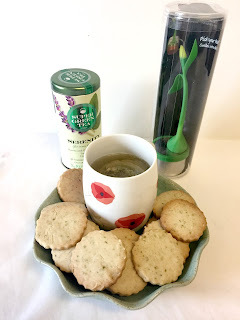 I wanted to make recipe where the flavors of the tea really stood out but could also be enjoyed with these cookies. While it’s not traditional at all, I found that enjoying a hot cup of tea with a few cookies and then finishing the snack off with a tea jelly was refreshing and palate cleansing. 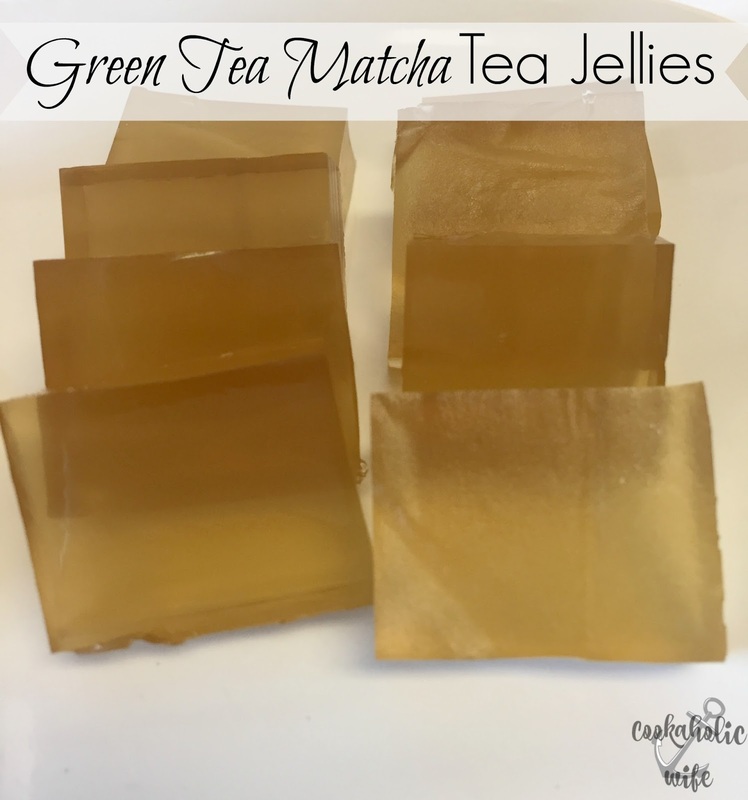 matcha and green tea are mixed with gelatin to make jelly candies. 1. Bring two cups of water to a rolling boil then remove from the heat. 2. Add the tea bags to the boiled water and allow to steep for 5-7 minutes. 3. Discard tea bags, draining out excess liquid. 4. Use a wooden spoon to stir honey into the tea until dissolved. 5. Stirring constantly, add 1 tablespoon of gelatin at a time, stirring until dissolved before adding the next. 6. Place a piece of parchment paper over an 8×8 square baking dish, leaving excess hanging over the edges. Pour the tea mixture on top. 7. Cover and refrigerate until the gelatin has set, at least 3 hours. 8. Using the edges of the parchment, lift the jellies from the baking dish. 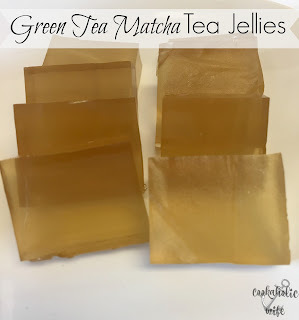 Cut into 5 even strips, then rotate and slice 5 more times creating 25 equally sized jellies. 9. Serve with tea or enjoy on their own. Keep refrigerated for up to 1 week. This recipe needs to set in the fridge for at least 3 hours. Great job Nichole. Love that you made the jellies to serve with the shortbread which, btw, are one of my favorite cookies.